Lottie C. (Dombroski) Faryniak, 100, of Allentown, passed away August 25, 2018. Born in Wilkes Barre, she was the daughter of the late Rose and Joseph Dombroski. She was the loving wife of the late Michael Faryniak. Lottie had worked previously for Levine and Sons for 8 years. She was a member of SS Peter and Paul Polish Catholic Church. Survivors: sons- Richard M. and wife Janice, Ronald J. and wife Renate; daughter-in-law- Donna Faryniak; 6 Grandchildren; 7 Great Grandchildren; 6 Great Great Grandchildren. She was predeceased by her son- Gerald Faryniak, 5 brothers and 4 sisters. A viewing will be held Wednesday, August 29th 11:30AM-12PM with a Service at 12PM in Kohut Funeral Home, Inc. 950 N. Front St. Allentown, PA 18102. Burial to follow in Laurel Cemetery, Whitehall. In lieu of flowers, donations can be made in Lottie’s memory to the American Heart Assoc. or to the American Cancer Society c/o the funeral home. George Fedok, Jr., 87, of Allentown, passed away March 20, 2018. Born in Allentown, he was the son of the late Rosy and George Fedok Sr. George graduated from Allentown High School in 1948 where he played basketball and baseball, playing on the state championship basketball teams. He then attended Brown Prep of Philadelphia and then Muhlenberg College, playing basketball at both. George served in the U.S. Navy from 1951-1955 in Special Services and played basketball and baseball. He played in the spring training camp for the Cleveland Indians in 1953, the Indian Club (City league baseball) and the St. Mary’s Uke’s Club Softball. George was a partner in the George Fedok and Son’s Coal Co. He was also the steward for St. Mary’s UKE Club for 40 years. 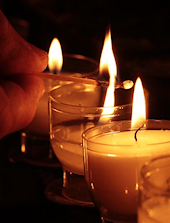 George was a member of St. Mary’s Ukrainian Orthodox Church. Above all, George was a Good Man. He is survived by his sister- Stella Valek and many nieces and nephews. He was predeceased by his sisters- Helen Toth and Rose Hoffman and brothers- Steve, Henry and Edward Fedok. A viewing will be held on Saturday, March 24th 9-10AM with a service at 10AM in Kohut Funeral Home, Inc. 950 N. Front St. Allentown, PA 18102. Burial to follow in St. Mary’s Ukrainian Orthodox Cemetery, Whitehall. Mary C. (Hoffman) Fedorak, 92, passed away January 19, 2018 at Manor Care 2021. She was the loving wife of 69 years to the late Walter “Lodge” Fedorak. Born in Catasauqua, she was the daughter of the late George and Margaret (Biss) Hoffman. Mary worked in various factories until her retirement. 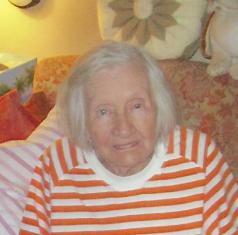 She was a member of St. John the Baptist Slovak Catholic Church and the St. Andrews Senior Citizen Club in Catasauqua. Mary and Lodge were always ready to help others. They took the children of many others under their wing. Many were touched by their love and attention. Mary was a great cook and baker, many enjoyed her family dinners and get togethers. She will be greatly missed. Survivors: sister- Betty Kamyniski of Allentown; Niece- Gerry Strohl and husband Gerald of Whitehall, their son Eric Strohl and wife Janine and their children McKayla and Kendyll; Nephew- Roy Raub and Wife Cherie of Vera Cruz, her grandchildren Mackenzie, Cooper and Ivy; numerous other nieces and nephews, godchildren, many close life-long friends. She was predeceased by 4 sisters and 1 brother. A viewing will be held Wednesday, January 24th 9-10AM in Kohut Funeral Home, Inc. 950 N. Front St. Allentown, PA 18102. Mass of Christian Burial to follow at 10:30AM in St. John the Baptist Slovak Catholic Church 924 N. Front St. Allentown, PA 18102. Burial to follow in Laurel Cemetery, Whitehall. In lieu of flowers, contributions can be made in Mary’s memory to the church or to the Alzheimer’s Association care of the funeral home. Francis J. Flood, 73, of Lehighton, passed away January 7, 2017, after a prolonged illness. Born in Allentown, he was the son of the late John L. and Elizabeth A. (Stavincky) Flood. 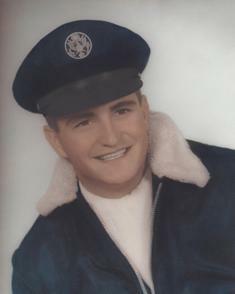 Francis served in the U.S. Air Force during the Vietnam War. He worked previously for Bethlehem Steel, Lehigh Structural Steel and Mack Trucks. Francis enjoyed hunting fishing and making people laugh. Survivors: Son- Mark Flood of Allentown; Brother- Michael and wife Barbara Flood of San Antonio, TX. A calling time will be held on Thursday 12:30-1:30PM with a Memorial Service at 1:30PM all in Kohut Funeral Home, Inc. 950 N. Front St. Allentown, PA 18102. Burial to follow in St. John the Baptist Slovak Catholic Cemetery, Allentown. In lieu of flowers, contributions can be made in Francis’s memory to the American Diabetes Association c/o Kohut Funeral Home, Inc.
Walter “Lodge” Fedorak, 92, passed away December 21, 2016, in his home at Sacred Heart, Northampton, where he received the excellent care of many loving staff. 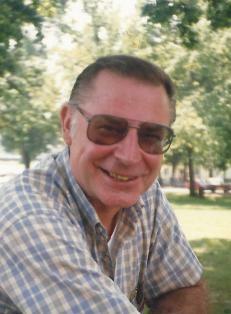 He was the loving husband of 69 years to Mary C. (Hoffman) Fedorak. Born in Allentown, he was the son of the late John and Anna (Yaczshin) Fedorak. Walter served as a Medic in the U.S. Army during WWII in the Railsplitters 84th Infantry Division in Europe. Walter received a silver star for his service. He retired as a Lab Tech from Air Products. Walter was a member of St. John the Baptist Slovak Catholic Church and the St. Andrews Senior Citizens Club in Catasauqua. Lodge and Mary were always ready to help others. They took the children of many others under their wing. Many were touched by their love and attention. He will be greatly missed. Wife- Mary Fedorak; Brother- Joseph Fedorak of Allentown; Nephew- Roy Raub and Wife Cherie of Vera Cruz, his grandchildren Mackenzie, Cooper and Ivy; Niece- Gerry Strohl and husband Gerald of Whitehall, their son Eric Strohl and wife Janine and their children McKayla and Kendyll; numerous other nieces and nephews, godchildren, co-workers, war buddies and many close life-long friends. He was predeceased by 3 brothers and 2 sisters. A viewing will be held Tuesday 9:30-10:30AM in Kohut Funeral Home, Inc. 950 N. Front St. Allentown, PA 18102. Mass of Christian Burial to follow at 11AM in St. John the Baptist Slovak Catholic Church 924 N. Front St. Allentown, PA 18102. Burial to follow in Laurel Cemetery, Whitehall. In lieu of flowers, donations can be made in Walter’s memory to the Wounded Warrior Project in honor of his military service or to Allentown Rescue Mission in memory of childhood Thanksgivings. Pamela S. (Heefner) Fraley, 67, of Whitehall passed away Saturday, June 18, 2016. She was the loving wife of the late Gene Fraley. Born in Allentown, she was the daughter of the late Robert and Cecelia (Weiner) Heefner. Pamela was of the Catholic faith, loved animals and was an avid reader. She enjoyed listening to politics on Talk Radio. But most of all, Pam enjoyed spending time with her family. Survivors: Children- Nannette Castro and husband Gilbert of Walnutport, Jason Fraley of Whitehall, Kelly Snyder and husband Daniel of New Tripoli; 5 Grandchildren; Siblings- Robert Heefner of Northampton, Jeanie Cope of Allentown, Jeff Heefner of Whitehall, Diane Weaver of New Tripoli. A calling time will be held on Wednesday 10-11AM with a Service at 11AM in Kohut Funeral Home, Inc. 950 N. Front St. Allentown, PA 18102. Burial to follow in Grandview Cemetery. Contributions can be made in Pamela’s memory to Animals in Distress 5075 Limeport Pike, Coopersburg, PA 18036. 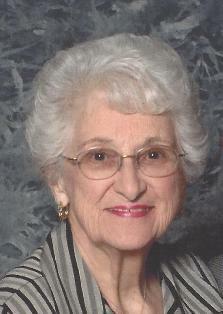 Doris M. (Eder) Fabik, 85, of Allentown, was reunited in Heaven with her beloved husband, George, on May 19, 2015. She was the daughter of the late Joseph and Margaret (Stutz) Eder. Born in Allentown, Doris was a 1948 graduate of Central Catholic High School and received her degree in nursing from St. Mary’s School of Nursing in Philadelphia. She was a member of Sacred Heart Catholic Church. Doris married George, her long-time love, in 1952 and served dutifully as a Navy wife for almost 30 years. During that time, Doris and George were stationed in such places as Millington, TN, Norfolk, VA, and Guantanamo Bay, Cuba, before coming home to Allentown for good. During thia time, Doris also worked as a Registered Nurse for several years before raising her family which grew to include four children. Survivors: Children- Edward of Allentown, Margaret Ann Lacher and husband Randall of Virginia Beach, VA, Gregory and wife Michele of Drexel Hill, Martin of Allentown; Grandchildren- Ronald Regis and Shaelyn Rayne; Brother- Robert Eder of Delray Beach, FL. A Mass of Christian Burial will be celebrated at 10AM Tuesday in Sacred Heart Catholic Church 336 N. 4th St. Allentown. Burial will follow immediately at Sacred Heart Cemetery 201-299 Fullerton Ave. Whitehall. 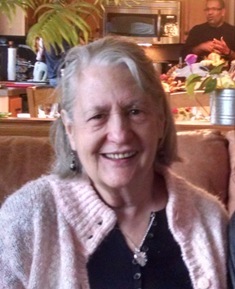 In lieu of flowers, donations can be made in Doris’s memory to the American Lung Association.